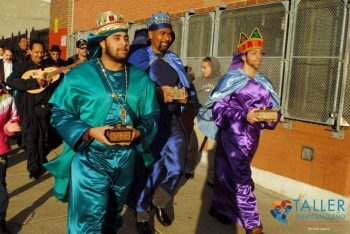 If you’re able to block out the winter weather and want to get out of the house and do something fun this weekend, you do have some interesting options. Lancaster also has a lively First Friday celebration very month. 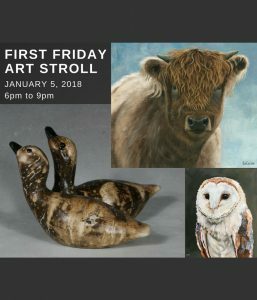 This month’s edition of First Friday Lancaster (http://www.firstfridaylancaster.com/) will run from 5-9 p.m. on January 5 in downtown Lancaster. The year’s 1880, and there’s an effort underway to resurrect the once-booming Chaddsford Saloon. A series of murders from a decade back sent the town of Chadds Ford into disrepair, but a certain cowboy reckons the time has finally come to get the town back on its feet. The “Menu and Pairing Lineup” features Texan Picnic Charcuterie Board with Proprietors Reserve White and Barrel Select Chardonnay, Mushroom Tart with Artisan Series Traminette and Chaddsford White, Steak & Ale Chili with Corn Bread with Artisan Series Fusion Chaddsford Red, Rigatoni in a Spicy Sherry Cream Sauce with Sunset Blush Pinot Grigio, Pulled Pork Sliders with Horseradish Slaw with Proprietors Reserve Red and Sangria, Pecan Pie Tart and Banana Cream Parfait with Spiced Apple wine and Coffee. Tickets are $60 and reservations are required. The mouth-watering tastings will be held every weekend in January from 11 a.m.-6 p.m. on Saturdays and 11 a.m.-5 p.m. on Sundays. As an added attraction, live music will be featured on January 6, 13, 20 and 27 from 2-5 p.m. each day. The annual show, which is produced by American Consumer Shows, will open on January 5 and continue through January 7. 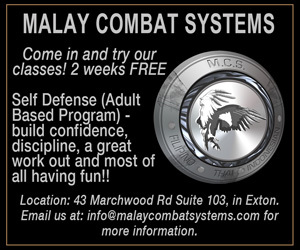 Hours are from 11 a.m.-8 p.m. on Friday, 10 a.m.-8 p.m. on Saturday and 10a.m.-6p.m. on Sunday. The event features free admission and parking. Mid-Atlantic Waterproofing, R.E.M. 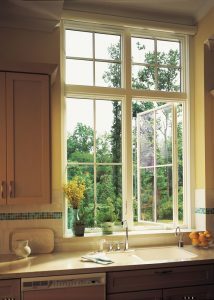 Sleep Solutions, Sandberg’s Custom Hardwood Floors, Bath Fitter, Closets By Design, Code Green Solar, and Floor And Décor. Also featured will be Gorgeous Wall Finishes, Granite Transformations, Homespire Windows, Install America, JC Woodworking, Kitchen Solvers of West Chester, Lifetime Metal Roof Systems, Mid-Atlantic Waterproofing, R.E.M. 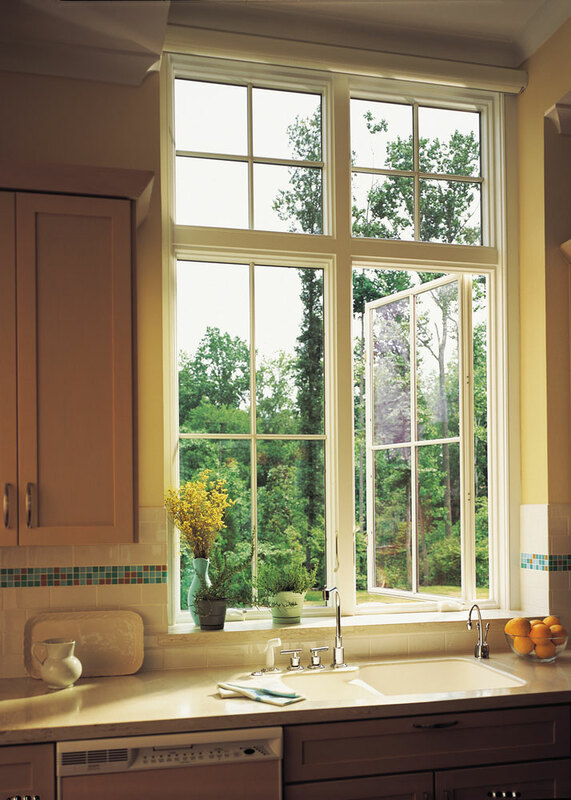 Sleep Solutions, Sandberg’s Custom Hardwood Floors, Solid Wood Cabinet Company, Spa, Hearth and Home Pool Center, USA Insulation and Victory Closets. Also, this weekend, Kimmel Center Presents “Daniel Tiger’s Neighborhood: King for a Day!” on January 5 and 6 at the Merriam Theater (250 South Broad Street, Philadelphia). The “grr-ific” musical for little tigers and grown-ups alike is back with an all-new show for 2017-2018. The hugely-popular “Daniel Tiger’s Neighborhood LIVE!” based on the PBS KIDS TV series, has delighted live audiences on stages across the country. Daniel and all of his friends invite fans to join in a brand-new adventure in Neighborhood of Make-Believe where Daniel learns just what it takes to be King. The beloved characters come alive on stage to captivate young audiences with new songs to sing along to, magical moments, and surprise guests. Show times are 6 p.m. on January 5, and 11 a.m. and 2 p.m. on January 6. Ticket prices range from $29.50-$80. 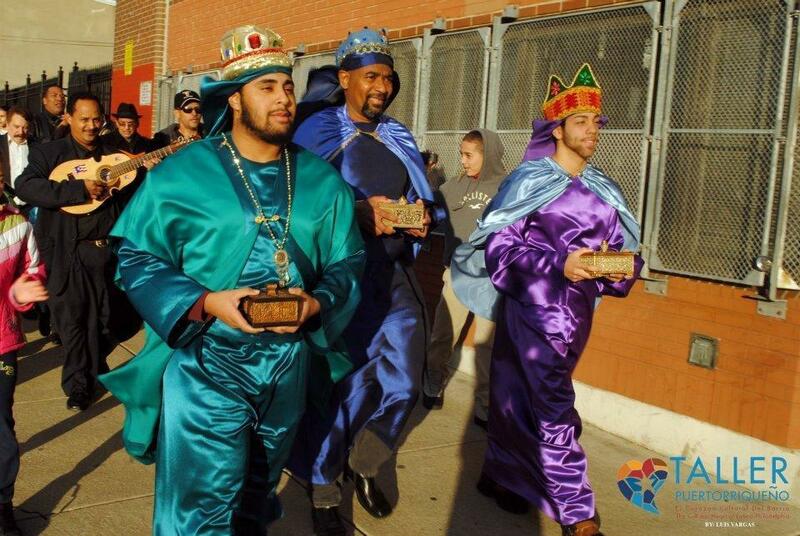 On January 5 from 3-5 p.m., there will also be a free “Three Kings Day Celebration” at Taller Puertorriqueño (2557 North Fifth Street, Philadelphia, 215-423-6320,tallerpr.org). After a highly-successful debut last year, “Philadelphia Loves Bowie Week” (https://phillylovesbowie.wordpress.com/) is back. From January 5-14, Philadelphia once again shows its love for David Bowie night after night after glorious night. More than a dozen activities will be happening across the city to celebrate and remember a man who changed the world. Visitors to the site will be able to join Naturalist Nate Alter to learn how animals survive the harsh conditions of winter – conditions such as they are experiencing right now. The event will run from 9:30-11:30 a.m. Tickets are $2. Over the next few days, Norristown Farm Park (2500 Upper Farm Rd, Norristown, 610-270-0215, https://www.montcopa.org/874/Norristown-Farm-Park) is shifting into an aviary vibe. 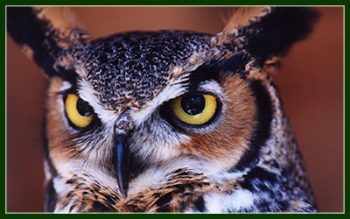 On January 7, the educational park site will host an event called “The Owls of Pennsylvania” at 2 p.m. Visitors will have the opportunity to learn about the natural history of Pennsylvania owls at this informative indoor program. A slide show will be followed by a visit from an educator with Elmwood Park Zoo who will be accompanied by a real owl. This is a great way to see a wild owl at close range. Suggested donation is $3 per person. Participants will be able to touch an owl feather, examine an owl skull, and look at an owl pellet. The program provides guest with a way to learn about these mysterious birds — how they hear, see, call, and hunt. They can also listen to a story, make an owl craft and meet one of Elmwood Park Zoo’s owls. Suggested donation is $5 per person. The opening event is the “Passport to Discovery Kickoff,” which is scheduled for January 6 and 7 from 11 a.m.-4 p.m. each day. Children will be able to participate in an array of activities to introduce them to the cultures of other countries. On January 27, the event will be “Passport to Discovery: Japan” with an educational look at the customs of the Asian island country. 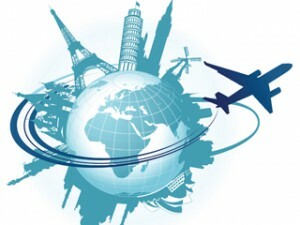 Other activities in the series are “Passport to Discovery: A Frosty Weekend” on February 10 and 11, “Passport to Discovery: Africa” on February 17 and 18 and 19, “Passport to Discovery: Ireland” on March 3 and 4, and “Passport to Discovery: Polynesia” on March 17. It is usually rather difficult to find ponds around Chester County that are frozen solidly enough to attempt outdoor skating but that might change this winter. But, skating outdoors means dealing with the elements that make the conditions almost unbearable. 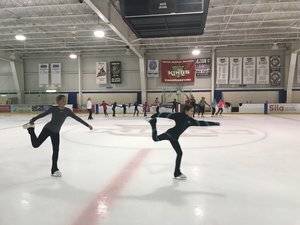 One of the best local skating sites is Power Play Rinks (701 Haywood Drive, Exton, 610-458-9160, www.powerplayrinks.com). The site offers weekday public skating Mondays through Fridays from noon-1:30 p.m. Added weekend hours are from 8:35-10:05 p.m. on Fridays and 1-2:30 p.m. on Saturdays. Admission is $7. The Horizon Riverfront Rink (308 Justison St., Wilmington, Delaware, 302-425-4890, www.riverfrontwilm.com) is entering its sophomore season this year. 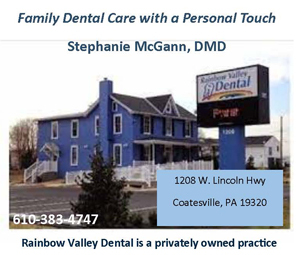 Hours are 4-9 p.m. Mondays through Thursdays, 4-10 p.m. on Fridays, 11 a.m.-10 p.m. on Saturdays and 11 a.m.-9 p.m. on Sundays. 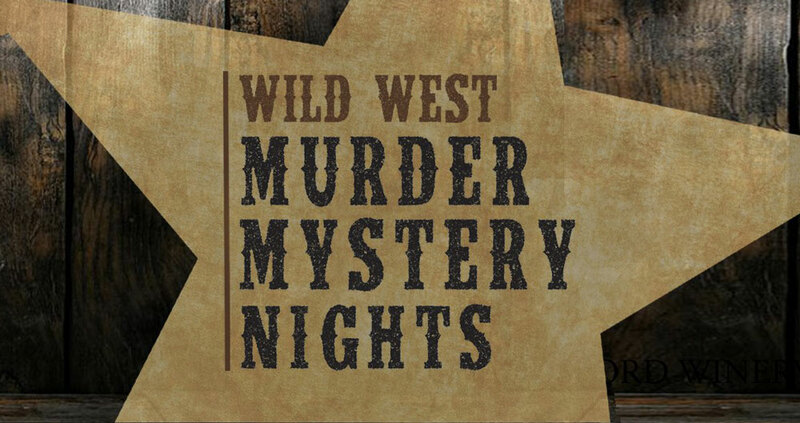 Admission is $8.50 (ages 13 and older) and $.505 (ages 12 and younger). Skate rental is $4. Oaks Center Ice (87 Brower Avenue, Oaks, 610-650-9690, www.oakscenterice.com) has public skating on weekdays from 11:30 a.m.-1:30 p.m., Fridays from 11:30 a.m.-1:30 p.m. and 7:30-9:30 p.m.; Saturdays from 2-4 p.m. and 7:30-9:30 p.m. and Sundays from 2-4 p.m. and 6-8 p.m. Skating sessions cost $7 and skate rental is $2. The Rink at Old York Road (8116 Church Road, Elkins Park, 215-635-0331, http://www.rinkoyr.com) hosts public sessions on Fridays from 8:30-10 p.m., Saturdays from noon-2 p.m. and 8-10 p.m. and Sundays from noon-2 p.m. Fees are $8 and the cost to rent skates is $2. The Gingerbread Competition & Display is a feast for the eyes with more than 50 creative and whimsical entries on exhibit in the Village Gazebo. Admission is free and the display will be open during shopping hours through January 6. Now that we’re well into January, most people are ready to close the curtain on the 2017 Christmas holiday. But, there are also some people who love the holiday season so much that they want to cling to it for as long as they can before having to say good-bye. Fortunately for them, there are still a few holiday activities still running through this weekend. One of the best holiday events in the area every year is “Yuletide at Winterthur.” This year’s 39th annual staging of the event, which runs now through January 7 at Winterthur Museum, Garden & Library (Route 52, Wilmington, Delaware,800-448-3883, www.winterthur.org). The festive annual event, which is running through January 7, features spectacular lights, lavish decorations, holiday music and colorful displays featuring thousands of brilliant poinsettias, brightly-decorated trees and fragrant flowers — all inside the heated Conservatory. As always, the museum will host “Carols Concerts” throughout December. Several of Montgomery County’s scenic historic sites are great places to visit for the 2017 Christmas holiday season. The Glencairn Museum (1001 Cathedral Road, Bryn Athyn, 267-502-2600, www.glenca“irnmuseum.org) is a Bucks County museum featuring religious art and area history museum. Founded more than 50 years ago, Choo Choo Barn — Traintown U.S.A. (Route 741 East, 226 Gap Rd, Strasburg, 717-687-7911, www.choochoobarn.com) presents a 1,700-square-foot train layout featuring over 150 hand-built animated figures and vehicles and 22 operating trains. The majority of trains that are running in the display are “O Gauge” trains but there are also some HO Gauge trains as well as one N Gauge train. Tickets are $7.50 for adults and $4.50 for children Ages 3 and under) at Choo Choo Barn — Traintown U.S.A.